I live in the Davao Bukidnon region. I want to build a dome but cant find the earth bags. Can u help me with a few local including chin, sources sir? I really need to know where I can buy the bags! Check the resources shown at http://earthbagbuilding.com/resources.htm#supplies and also check these blog posts: http://www.naturalbuildingblog.com/?s=earthbags+philippines for leads. anyone earth bagging in Dar Tanzania? Hi, where to find and buy this continuous (reel?) bag in the PI? They had custom bags made. Not necessary. Use regular polypropylene bags or tubes. Check large poly bag suppliers in Manila. Find websites online. Get 18″ wide. Stronger is better. This is very informative :) Please keep posting more. It really helps! i want to build small houses for Negritos and indigent children in the Philippines. Where can I find a contractor? I’ll visiting in June to find out where I can find a contractor. Please give me the email of someone I can contract in the Philippines. Search our blog for keyword Philippines and you’ll find every project that’s been built (except a church project that I haven’t published yet). Most likely you will have to become the supervisor and train your own workers. I am interested in your earth bag construction. Do you have anyone doing this construction in Bohol Philippines? I would like to volunteer for a project to learn the techniques for a house I want to build. 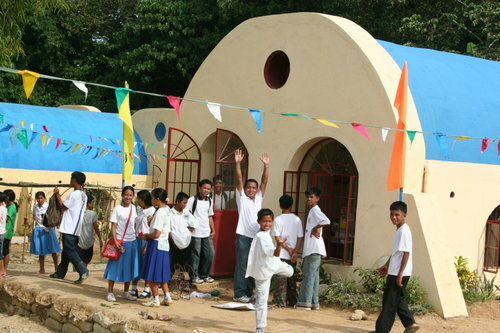 There are earthbag projects in the Philippines, but I don’t know if anyone is building houses for other people. Let’s hope it has a roof so it doesn’t get water damaged. Remember, domes evolved in deserts not the tropics. Your in luck! My wife an I have been inspired immensely by dr Geiger and I, like yourself am keen to learn this technique. So after many emails trying to find an expereinced earthbag builder willing to come to Bohol, I eventually found a solid contact who will come to Bohol and assist us in building an Eco resort from Earth bags. We want local people to learn and have a base for people to further develop their understanding. The build will happen in 2016 at some point- still working on designs. Any input, resources and elbow grease are humbly welcomed. Please email me and we can meet up to discuss the project if you would like. Send me an email Wayne. My address is at the top of every page under About Us. Any news on your upcoming earthbag resort project in Bohol? Where is the location? Hope to see the construction process as I am interested in building one myself. Thank you very much. I am Bernadith, an architect. The earth bag system is my thesis in college. It is great to here that you guys are planning to build a resort with this system. I would love to volunteer my services as an architect. Please let me know how can I help. That’s an old story and Diaz is no longer building with earthbags. There are lots of other groups who could use your skills. There are dozens of projects in Nepal for example. Email me and we can discuss the options. They use custom bags and a slow building method. You can achieve the same look with regular 18″ wide rice bags or poly tubes and go about twice as fast. Sorry for the very slow response, well we have now bought the land and are ready to build. For now we wish to just start with one 6m X 4m to practice really. Please email me wdmercer1@gmail.com.. And many thanks for getting in touch also Joseph sorry again for lateness. hi Bernadith, Were you able to pursue building with earthbags? the same goes with me. it has been a part of my college thesis where i redeveloped a resort using the same material. Hope i will be able to experience this method of building personally. Volunteer to help an NGO. You can help people build plus learn valuable skills. Have just read a write up about Ilac Diaz building, and using earthbag tech and say that he has patented this. What did Ilac patented the earthbag technology of building a house, if his intentions is really to help the poor to have a house then why have it patented. And the fact that this is not his invention i believe that there is something wrong with that, it is a Kalil Nader invention or an old technology that has been revived by Kalil. Just a comment and i hope that i was wrong that he patented this technology in the Philipines. That’s one reason we keep publishing free information into the public domain. It makes it impossible to patent, corner and control the market. Building with simple natural materials is a gift to humanity. Let’s keep it that way. Don’t support those who are trying to rip people off. 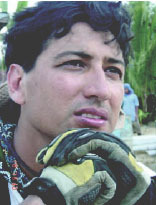 After the abundant popularity of the liter bottle skylights, Illac Angelo Diaz may have focused his energies in that direction. He has been the primary promoter of that technology. You might try contacting him via this web page. I think almost step in the process could be improved. I’ve toured small low-fired brick facilities that churn out hundreds of thousands of bricks at high speed with simple techniques. Similar methods could be used here to good effect. This knowledge is widely available. May we know if theres another contact number of Jana Estrovillo for the earth bag houses. We could not contact the number given above. We need to contact her or maybe Mr. Ilac Diaz as we intend to build houses using the technology for the Aklan typhoon visctims. Maraming salamat and anticipating your prompt response thru my email ad. hi there, you see we’re having our thesis about mud houses. 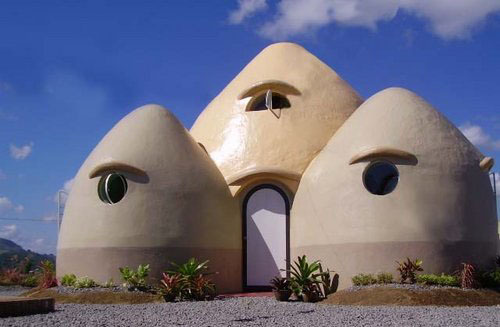 we just want to know, where we can find this houses so we can see it for ourselves. it will be a great help if you respond to this message. actually we dont know much about it. please help us!